Creating a community hub of wellness oriented learning, individually and socially. Would you like to release stress, relieve chronic pain or improve your over-all health and vitality? Do you need to make lifestyle changes such as beginning a new nutritional or exercise regimen? Are you interested in opening your creativity and expanding your conscious awareness? Join us and learn from six leading local experts how you can live a healthy life, overcome your current challenges and explore different components of healthy community and society. Cynthia Fitton has worked with food security non-profits for eleven years. She has a Bachelors of Science in Nursing and is a Masters of Arts in Community Development candidate at the University of Victoria. 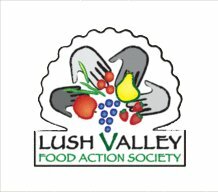 She presently works as a Paediatric Nurse for a youth respite care home and is the Executive Director at LUSH Valley Food Action Society. Over the years as a food activist she has coordinated, facilitated and developed community gardens, community kitchens and gleaning/harvesting programs in several communities in BC. Pieter Vorster has been working on the development of open money, specifically community way dollars since 2009 after experiencing first-hand the benefits a local currency brings to both the local business owner and community service organisations. He is passionate about making a ﻿difference, sufing, traveling, and online communication opportunities. Pieter is a professional communicator with more tha﻿n a decade of experience in the fields of advertising, marketing, publishing, public relations and education. Since 2008, Pieter has been working on his home-based business Continual Palingenesis aiming to help small business and non-profit organisations establish and maintain professional up-to-date communications. He lives here in the valley with his wife Caila and his daughters Juniper and Wren. Roberta Meiller couldn't limit her passions so she lives them all! She's been a natural dancer, teacher and movement coach sparking joy in others for over 30 years. For 20 years she's been an artist and creator of beauty from unloved rusty things, and for the past 10 years she's been a Certified BodyTalk practitioner helping people heal and grow holistically. She is the founder of World Dance, the author of World Dance: A Joyful Path to Free Movement and Personal Growth and recently the initiator of JoyBurst flash mobs. One of her joys is calling Comox Valley 'home'. An Ayurvedic approach to balancing your constitution (dosha) through diet. Katie is the owner of Courtenay Massage Therapy. She is a Registered Massage Therapist, Healing Touch Practitioner, Chartered Herbalist, Soma Yoga Instructor and currently persuing designation as an Ayurvedic Yoga Therapist. 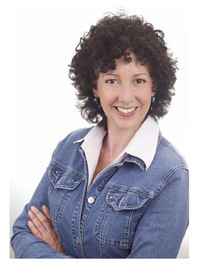 Katie has been practicing the healing arts for over 15 years, helping people reduce pain and stress, Using bodywork, movement therapy, energy medicine, aromatherapy and routines of daily living, she educates people on mind/body/spirit connection. Arrow is a Master Trainer and Master Healer in the Tao Healing Arts. She offers physical, emotional and spiritual healing and empowerment through Do-In (Taoist yoga classes) and workshop instruction. Using traditional training methods and lessons of Tao, she helps people restore health and balance while awakening their innate being. Practitioners regain purpose, joy, compassion and wonder through study of self as part of the way of nature. Her lessons systematically incorporate Chakra Training and Brain Based development programs. Arrow has 10 years experience in Taoist Yoga Instruction, Workshop Facilitation as well as Instructor Training and Traditional Healer Training. The Healthy Living Experts Forum is designed to meet each Individual's need for healing or personal growth where they place most importance. We believe health and wellness begins with the Individual, then the family unit, community and society. The Experts Forum is a fantastic opportunity to learn, & experience from the accumulated talents and knowledge of the experts in our community. It's an inherent aspect of human nature that once physical and emotional needs are met and stable the quest for higher awareness and the desire to share that awareness grows. Healthy Living Experts Forum aims to harness this desire to create a hub of self care, higher learning and exploration for the Community. Learn great preventative measures as well as health and healing tips that can improve your quality of life. Experience different modalities and approaches to health and healing. Learn about wild medicines, and meet local harvesters and organic growers in our community. Expand your awareness about components of building a healthy, vibrant and caring community. Engage in a hub of health and healing as we co-create a culture of higher learning in a comfortable and welcoming setting.